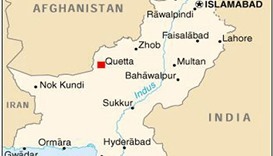 Gunmen on Wednesday killed four paramilitary policemen in an ambush in Pakistan's restive southwestern province of Balochistan, officials said. 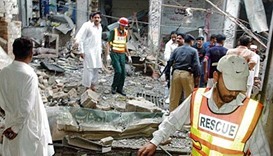 The incident comes after a bomb attack on the same shrine -- located in the oil and gas rich Balochistan province, bordering Iran and Afghanistan -- killed 35 people in 2005. 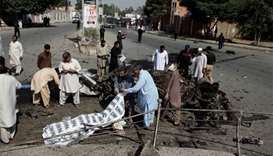 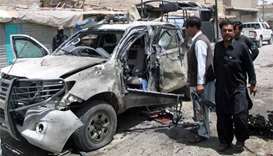 A bomb on Monday killed a police chief and his guard, and wounded 11 others in a southwestern Pakistani town bordering Afghanistan, officials said, the latest attack to strike the restive area. 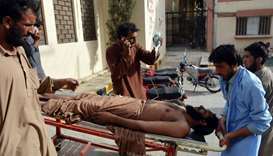 Multiple blasts killed at least 26 people and wounded dozens in two Pakistani cities on the last Friday of Ramadan, Islam's holiest month, as officials warned the toll could rise. 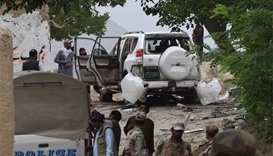 A "huge" explosion in Pakistan's restive southwestern Balochistan province that apparently targeted a top senator's convoy killed at least 17 people and wounded more than 30 others, officials told AFP on Friday. 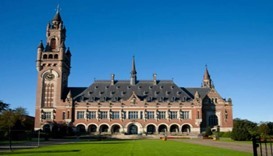 The UN's top court will hold an emergency hearing on Monday as India seeks to stop Pakistan from executing an Indian national accused of spying. 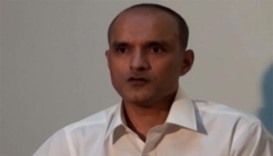 Pakistan will execute an Indian man arrested in the southwestern province of Balochistan last year who officials claim has confessed to being a spy for Indian intelligence, the country's powerful military said on Monday. 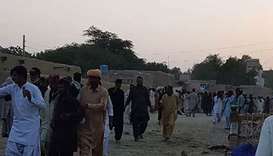 At least 25 people died and 30 others were injured when a bomb exploded at a Sufi shrine in southern Pakistan's restive Balochistan province on Saturday, officials said. 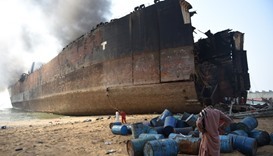 The death toll from an explosion and fire at a Pakistan shipbreaking yard last week has risen to 26, officials said Sunday. 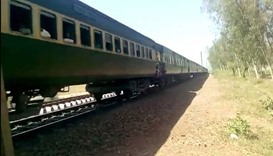 Two explosions targeting military personnel on a passenger train killed at least three people and wounded 13 others in Pakistan's troubled southwestern Balochistan province Friday, officials said.